Crown of Thorns 3 weeks 17 hours ago. Teaser track The Sorrow of Klaatu from upcoming album Voltage on Damien Records due for June 2019 release. Listen to The Sorrow of Klaatu by TimKaiser #np on #SoundCloud 4 weeks 1 day ago. Tim-Kaiser shared a post. https://m.facebook.com/story.php?story_fbid=10158068971789112&id=183755284111 3 months 1 day ago. MonoSynth- based on a Korg Monotron 8 months 19 hours ago. 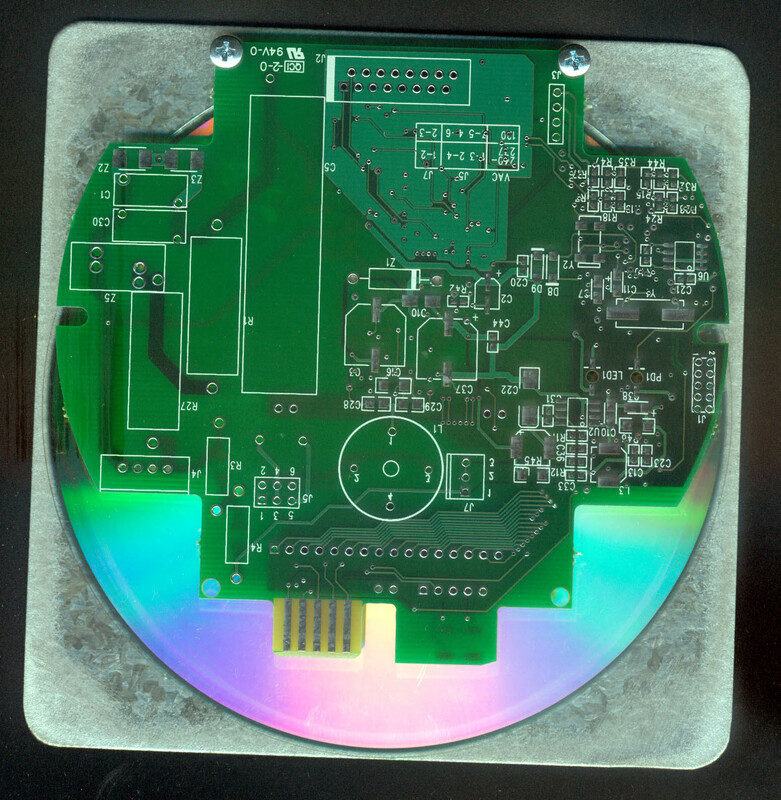 One day while scrounging for parts, Kaiser stopped by the local electronics recycling facility and noticed a very large stack of unpopulated circuit boards (coincidentally the approximate size of a CD). He asked one of the techs if they were for sale. The tech said, "I don't know- heck, why not? I'll have to ask the boss how much." However, the boss was out to lunch at the time. So the tech said, "Just make them go away." And Kaiser did. A trip to the sheet metal works and the hardware store completed the parts needed. It took several weeks of drilling holes and grinding the metal corners to come to the finished product. The package was a perfect fit for Kaiser's music and maniacal zeal for the hand-made. Can you say “Grammy Award for Design and Packaging”? This is ingenious music of happy accidents; a two-year labor of love and sweat that just might make your secret dreams come true. There are no limits to the creativity in this package, but there are to how many exist. Only 500 are available, signed and numbered by the artist, and produced by Logan Erickson.